 The Center for Student Success supports Newberry College students throughout their educational journey by providing a variety of academic support services. Our academic specialists offer a personalized, one-on-one approach to assist students with the self-mnagement skills they need to be successful in the classroom. We work collaboratively across academic and administrative departments, monitoring success indicators, such as class attendance, personal behavior and academic performance, all with an eye toward helping students achieve their academic goals and persist to graduation. The Center for Student Success is in the library main floor adjacent to the library commons area.